Are electric scooters safe for kids? What electric scooter for a 5 year old? Which electric scooter for a 7 year old? 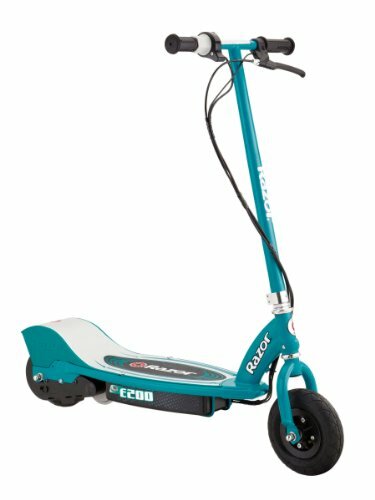 Best electric scooter for an 8 year old? What electric scooter for a 10 year old? Best electric scooter for an 11 year old? 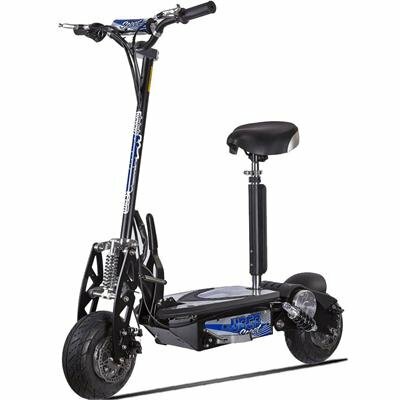 Which electric scooter for a 12 year old? What is the fastest an electric scooter can go? As long as children want to have fun, an electric scooter for kids will never go out of style! These fun vehicles give kids a fulfilling sense of freedom by allowing them to control steering and acceleration responsibly. They spice things up when the regular ride on scooters starts becoming too ordinary and dull. Moreover, electric scooters eliminate the need for pedaling and offer some extra safety for children. They make great presents for your child’s birthday or Christmas. This is a must-have form of transportation for kids under the age of 18 – and sometimes older! With the several electric scooter brands and options available, parents can have a tough time picking one out for their child. Good news! In this review, we offer the top electric scooters for kids currently on the market, and we’re sure you’ll see something you like. Your child will get around in style with this fun motorized scooter! The super-sized deck and frame make it ideal for all sizes, and it includes a throttle acceleration control with a twist grip for smooth riding. The quiet motor paired with the high-torque, 24-volt, and chain driven motor gives kids the freedom to go up to speeds of 15 MPH and have the time of their lives. 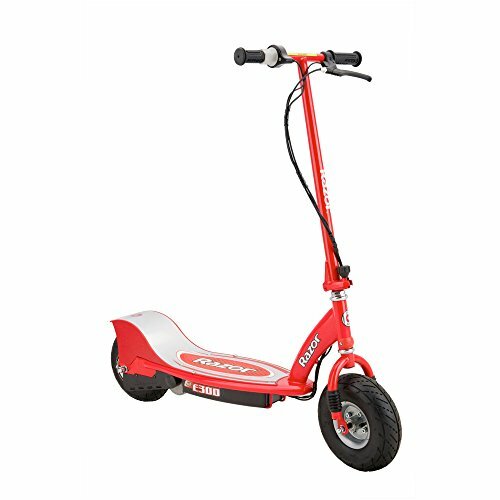 Without a doubt, your child will enjoy scooting around in this red-hot Razor E300 electronic kids scooter. After a fun 45 minutes, it will need to be charged, which doesn’t take long at all. Why We Liked It – This scooter runs for 45 minutes before it’s time to recharge. This gives parents 45 uninterrupted minutes to clean the house, cook dinner, or simply relax! See more amazing electric Razor scooters here. 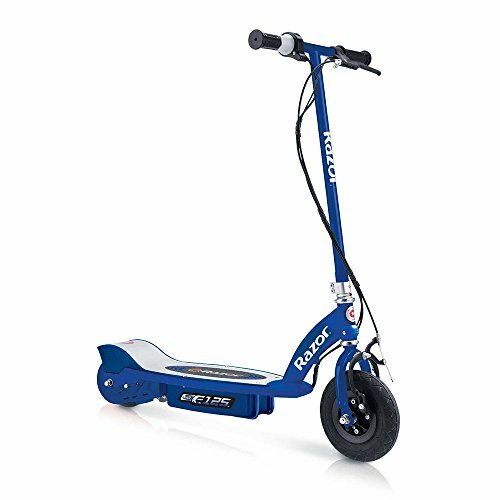 This 24-volt rechargeable electric scooter has a maximum speed of 10 MPH with up to 40 minutes of continuous riding. This is a bit lower in comparison to our first pick. However, it doesn’t fall far behind in terms of quality and features. The Razor E125 is designed for children ages 8+ with a deck and frame sized for kids. It is environmentally friendly, made from top-quality strength materials, and has a sporty look to it. The quiet chain driven motor will be appreciated by parents and neighbors as your child cruises down sidewalks on this hot ride. Why We Liked It – We can talk about how this electric scooter is good for the environment or is made from high-strength materials to ensure the protection of your child, but what we love most is the simple, yet attractive design of this model. Looking for a model to gift your older child? This is a great option for children who are at least 12 years of age. With a chain 100-watt motor and a top speed of 24-26 MPH, this selection goes extremely fast. There is a button to conserve battery life if you’d like and a maximum range of 10 miles per charge. This model is foldable, making it easy to store away or travel with. It holds up to 265 lbs. and includes front and rear disc brakes with 10-inch pneumatic street tires. Because of its fast speed, make it a priority to wear safety equipment at all times and read safety riding rules with your child. + Holds up to 265 lbs. Why We Liked It – When it comes down to the need for speed, this model is the winner! 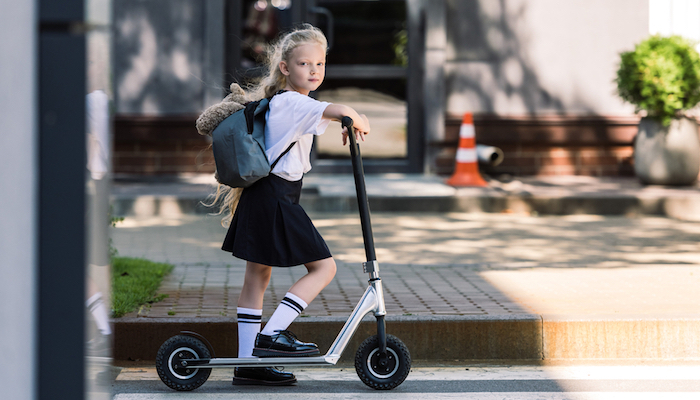 The UberScoot goes up to 24-26 MPH, depending on the child’s weight. If your kid is older, mature, and skilled, we recommend this selection. This gift to your child will give them a way to release built-up energy, and you can be sure they’ll feel an adrenaline rush as they cruise the streets on this electric scooter. With a fast speed of 15 MPH, users can drive the Glion Dolly for 15 miles before it’s time for a recharge. It comes with remarkable safety features including the military tech never-flat airless rubber tires, electronic antilock brake, or pedestrian bell. Simple, quiet, and durable, the Glion Dolly scooter is foldable and can be walked with as you would with a roller bag suitcase. Moreover, it has a quiet chainless DC hub motor, a patented dolly, and vertical self-standing feature. Why We Liked It – We enjoy the versatility of this scooter. It is a great selection for kids and parents alike. Our favorite features include the handlebar mounted batter indicator, so you’ll always know how much life is left in your scooter. The Razor Power Core E90 comes with a twist – our specific selection is a spider-man red design that will turn heads in the neighborhood. Your little one will enjoy the looks while you as a parent will have peace of mind that they’re safe. The Razor Power Core E90 scooter has a hand-operated front brake, a push-button throttle, and an in-wheel hub motor. Not only is it eye-catching with exceptional features, but it has a run time of 80 minutes per charge with a maximum speed of 10 MPH. It comes with a 12V battery and deck that measures 22” L x 7” W, making it a perfect selection for children ages 8+. Why We Liked It – We really enjoy the fun design incorporated into this electric scooter. It’s in our top picks because it has everything kids want with the safety features parents need at an affordable price. If you’re looking to bring the speed down a notch, the Razor E325 scooter gets the job done. With a maximum speed of 15 mph, your child will enjoy up to 45 minutes of pure fun with every charge. This selection comes with a glossy black helmet to complete the overall smooth look and to provide safety. The chain drive motor is extremely quiet, so you will never receive noise complaints from neighbors. 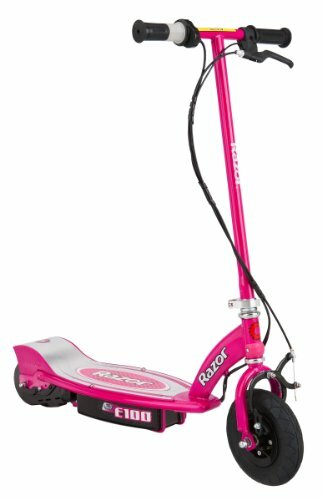 Among the fastest Razor scooters designed, this model will give your child a smooth and safe ride with 10-inch pneumatic tires, variable speed acceleration, and twist grip throttle. Why We Liked It – When it comes down to a smooth ride, this is the electric scooter for your little one. It is made from extra wide 10-inch pneumatic tires, giving the user a safe, comfortable, and fast riding experience. Bold and powerful, the GOTRAX GXL offers a 15.5 MPH speed, which is above average for electric scooters. It’s perfect for commuting and can absorb rough types of terrain with its 8.5” pneumatic tires. With its capacity to hold a maximum of 220 lbs., even parents will want to take this scooter for a ride. Its two-speed gear settings give the rider a 10 or 15 MPH riding experience, depending on if they need to get somewhere or are just going out for a stroll. Its 250-watt motor is very powerful – one of the most powerful on this list. Lastly, the GXL can travel 12.5 miles and recharges completely in only 4 hours. Why We Liked It – There’s much to say about the GOTRAX GXL! We are really impressed with this model because of its fast speed and 250W motor power. You can be assured this bad boy will get you to your destination in no time! A good reason why this model made our electric scooters for kids review guide is that it has the power and style that every child wants. And as for parents, you can have peace of mind that they are zipping around town safely. The motor speed of this model is 12 mph with a run time of 40 minutes per charge. Additionally, it comes with a hand-operated rear brake, kickstand, and removable seat for standup riding. 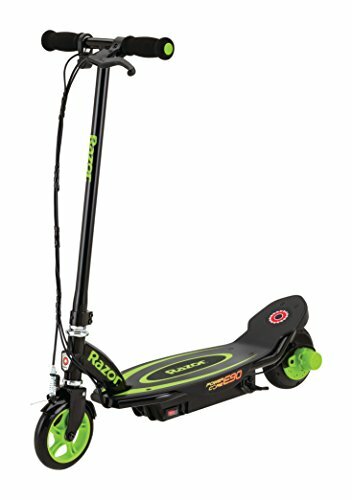 Recommended for ages 13 and older, the Razor E200 scooter has a weight capacity of 220 pounds. Why We Liked It – The bright green color of this scooter says a lot about its personality – and your child’s! We really like the “electric” look of this model; it’s perfect for users looking for a cool way to get around. The Razor E100 is one of the more affordable options on this list. However, don’t let that discourage you in terms of quality, safety, or speed. It goes up to speeds of 10 MPH with 40 minutes of use per charge. 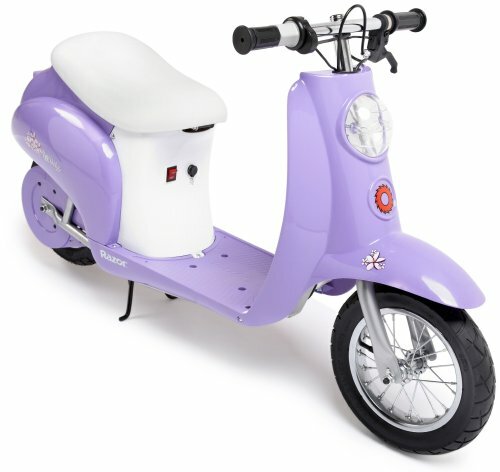 Additionally, the child or adult will need to manually kick off this scooter to 3 mph before the trigger engages the motor. The handlebar is adjustable for users of all sizes, and the hand-operated front brake ensures quick, yet smooth stops. Recommended for ages 8 and older, this model can hold up to 120 lbs. Why We Liked It – Our favorite feature of this model is the price. Attainable for under $200, parents are receiving a great value for their money! It’s an affordable gift your child will enjoy. This model is a great selection for any aged children, from young ones to teenagers. It has a weight capacity of 150 pounds, and while it has a vintage look to it, everything else is quite modern! Your child will enjoy the padded seat and storage space underneath it. On a full charge, they will get 10 miles (40 minutes) of usage with a speed up to 15 MPH. It is designed with a retractable kickstand, rear suspension system, and throttle for easy speed control. Ideal for ages 12+, the Razor Pocket Mod is fashionable with high-performance qualities. Why We Liked It – We love everything about this motorized electric scooter especially the variety of colors to pick from. Everything from black, red, to pink, you’ll find the right selection for your boy or girl! Parents know that children love bikes, skateboards, roller skates – basically anything with wheels! A popular kid-based vehicle taking over the market are electric scooters for several good reasons. They are stylish, fun, and make amazing gifts for kids. · What areas should you be focusing on? · What brands are the best? · What age is recommended for use? · How much do they cost? We have created this guide to save you hours of research and let you know exactly what to look for. Read on to learn more about the best electric scooters for kids. Also, don’t forget to use our review guide as a reference to learn about the top models on the market! As a parent, safety is your number one priority when purchasing an electric scooter – or anything that moves for that matter! You want your kid to have an enjoyable experience but always come back home with zero cuts, bruises, and scratches! One of the best ways to ensure their safety is by making sure they always wear a helmet and kneepads! Also, be sure they are wearing close-toed shoes as opposed to flimsy sandals that could easily fall off. 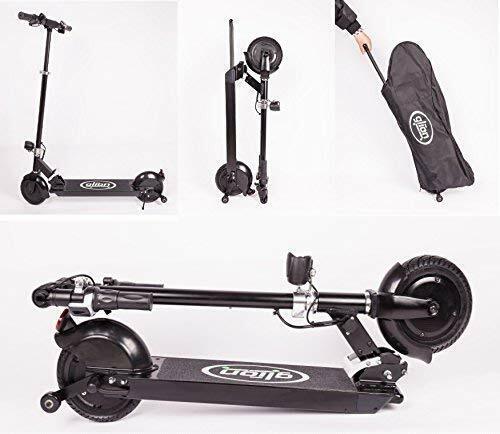 As for the scooter itself, look for one that’s easy to use, has hand-operated rear brakes, a twist-grip throttle, good size tires, and a kickstand for easy storage. These are all important elements for safe riding. This factor boils down to the personal preference of your child! You can find anything from solid colors to superhero-themed options like the one we mention in our review guide. Along with style, you need to check the dimensions and be sure they fit your kid’s age range. Scooters range in size, so you need to find one that won’t be too big or too small for your child. Also, ask yourself if the scooter comes with a wide sized frame and deck option of extra footing. These are all things to consider when making your selection. There is an age requirement for everything, especially motorized vehicles! While electric scooters for kids are safe, if your child is under 7-8 years old, we strongly suggest that you consider if they are old enough to drive one. Electric scooters are designed for 7-18+ years old. Of course, there are electric scooters available for adults, but for children, you’ll want to be sure they are old enough to handle and steer this small vehicle. The top electric scooters are designed to hold even the heaviest of riders. You’ll find that most models can withstand a maximum weight of 220 pounds. The lower capacity models are very light and targeted towards younger children. For this reason, you want to keep in mind your child’s weight before selecting. This element is straightforward. You want a scooter that will hit at least 10 MPH. If your child is an adrenaline junkie, consider 15 (if they’re old enough to go these speeds). How do you know if they are old enough? We recommend scooters that go faster than others if your child is 10 years +. At this age, they will be able to handle the speed. These motorized vehicles need to be recharged after a fun day of riding! The best electric scooters will have a battery that is long lasting and quick charging time. If your child is only going to be able to use the scooter for 5-10 minutes, and it takes hours for it to recharge, you want to keep looking. The models we selected all have one thing in common – they are made with top-quality materials that will last riders several years. Craftmanship is very important not only in having a scooter that will last a lifetime, but also to ensuring maximum safety. Not all scooters fold in half. You will find that the foldable ones are great because they can easily be stored away. The folding mechanism makes them portable, so you don’t have to park them. It’s so easy to fold, even your little one could do it! Just like learning how to ride a bike, driving a scooter takes some practice. However, they require less balance than a bicycle and less work to operate. In the end, it depends on the child’s maturity, skill, and ability to follow rules. Electric scooters are easy to operate, and for parents, it’s a fun project to watch their child develop skills in. As always, be sure to have them always wear a helmet and knee pads when riding the scooter. For 5-year-olds, we suggest you consider their maturity level and skills to determine if they are ready to handle an electric scooter. If so, they will love any of our mentioned models designed for younger kids. The Razor E100 scooter is a good fit for your 7-year old. The safety features designed within it will keep them out of harm’s way. We have found that the Razor E125 is a great selection for 8-year-olds. It challenges them but keeps them safe while cruising down the neighborhood! Any of our Razor models will be a good fit for your 10 year old child. They are fast and designed for both beginners and experienced skill levels. An 11 year old is old enough to handle some of the faster models available (if speed is what they want). 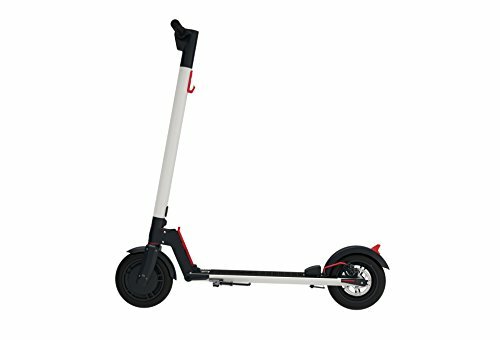 Any of our reviewed models will be great for them including the Razor Pocket Mod Miniature electric scooter. They’ll love its vintage design! For older kids, we feel they would really enjoy the high speed of the UberScoot 1000W electric scooter, which goes up to 24-26 mph! When you buy an electric scooter for kids, you will most likely receive the scooter itself, a rechargeable battery, and an instructional guide for use. Don’t expect to receive a helmet, knee pads, or other items essential to safety. There are matching accessories that you can purchase separately for almost every model, and we encourage it very much! Before your child steps foot on the scooter, be sure they have their helmet on and some knee pads in the event of a fall. Remember, safety is the number one priority when considering giving them an electric scooter! Kids electric scooters can go as fast as 20 MPH, but for kids, we don’t suggest anything over 15.5 MPH. Our guess is that they will only be riding around the neighborhood, and 15 MPH is much faster than you think! Electric scooters range in price, which means you’ll find something that fits your budget! You do want to expect to spend a couple hundred dollars on a quality model. Luckily, our review guide offers a wide pricing selection to give you something you love and can afford. There are several scooter brands on the market to choose from. Popular brands include Razor, Glion, and X-Treme. Most of our reviewed options are Razor selections and for a good reason. They offer great performance, speed, and are made from quality materials. It’s important to consider the manufacturers of the product you are buying since they all offer different customer support, warranty, and great features. Popular brands most likely offer classic models to different shades, styles, and design. Don’t let price be the determining factor for your selections. There are amazing models at low prices and not so great ones at expensive costs. Instead, consider features, quality, durability, and of course, customer reviews. Electric scooters give young children a sense of freedom as well as responsibility. This is why they are so popular among pre-teens and teens. They are a fun way to get around and teach them how to stay safe and follow safety rules. If you’re a parent, you know that kids have so much energy, and sometimes you run out of ideas to keep them entertained. An electric scooter for kids makes a great gift that can bring endless hours of fun and joy. They are motorized vehicles that are safe, enjoyable, and a great way to release all that built up energy – it’s a win-win for both of you! We hope this buyer’s and review guide has served its purpose of helping you learn more about electric scooters and things to consider before making a purchase. We are confident that you’ll enjoy any of our listed options as they have shown to be the best for kids. One thing is for sure – an electric scooter will make any kid’s day!